2019 Michigan Court Rules - Michigan Legal Publishing Ltd. 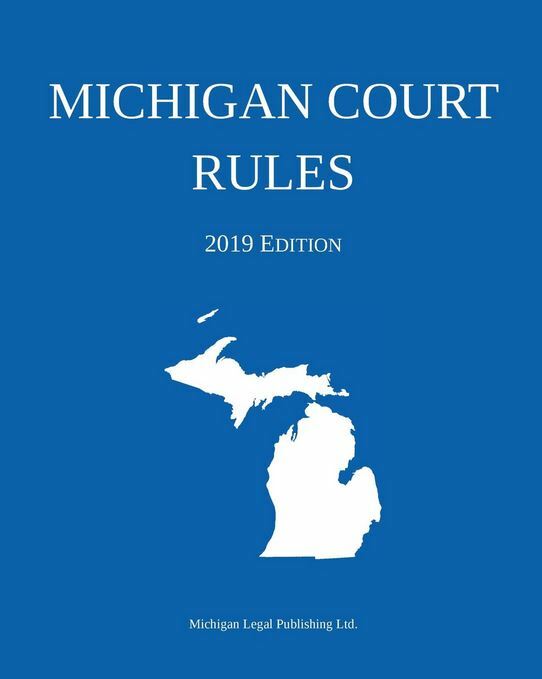 The complete Michigan Court Rules, updated through January 1, 2019. Includes rules of civil procedure, criminal procedure, probate, appellate procedure, and more. Also includes local court rules.